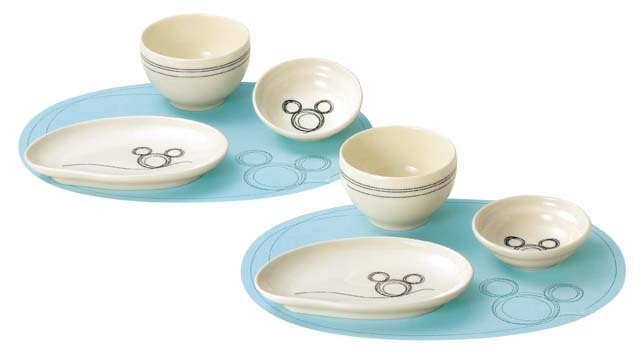 Pair of plates, bowls, small bowls and luncheon mats of Disney character Mickey’s drawing design. Simple design. Ideal item for adults and kids.